An elderly driver had to be rescued after his vehicle flipped over on West Broadway. The crash happened near Larch Street around 11 a.m. on Sunday. 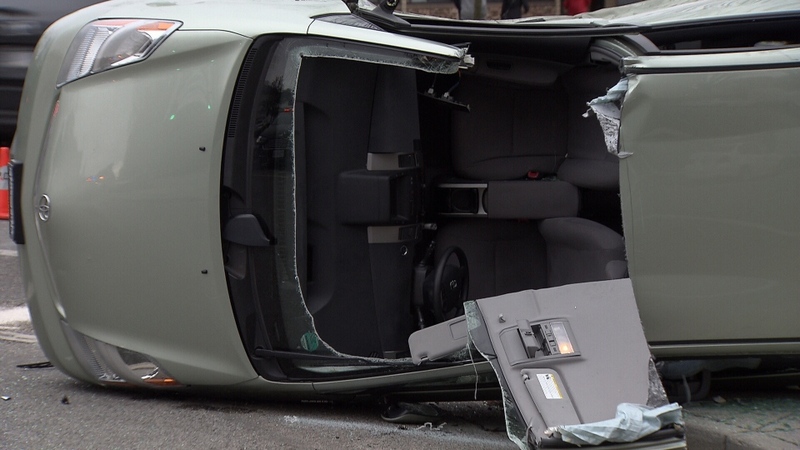 Vancouver police said the 94-year-old driver was hit after allegedly turning left onto Larch Street in front of another vehicle, which was heading west on West Broadway. The collision caused the man's vehicle to roll over. Crews used the jaws of life to cut through the roof of the car, freeing the man. Police said there were no serious injuries and the man was taken to hospital as a precaution. They said speed doesn't appear to be a factor in the crash.